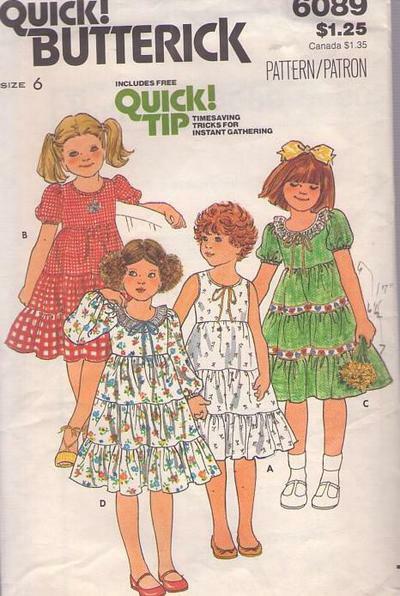 80s Children, Retro Summer Clothing Patterns - Dress has fitted bodice, narrow bias neckline binding with or without purchased flat eyelet trim, back zipper, gathered three tier skirt, attached purchased ribbon bow trim and topstitch trim. Sleeveless, short sleeves gathered at cap elasticized at lower edge or full length sleeve gathered at cap elasticized at wrists, solid or tri color. C has purchased ribbon trim. B has purchased appliqué.